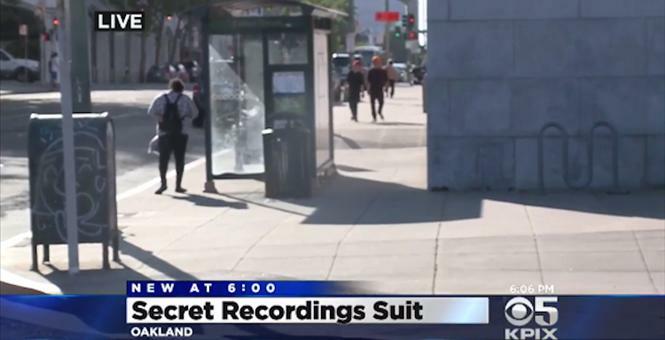 Hidden microphones that are part of a clandestine government surveillance program that has been operating around the Bay Area has been exposed. Federal authorities are trying to prove real estate investors in San Mateo and Alameda counties are guilty of bid rigging and fraud and used these recordings as evidence. A lawyer for one of the real estate investors that’s been accused has filed a motion to throw out the recordings. Some might argue that the innocuous conversations of those outside the courthouse were discarded, but that’s not the point. This is about government recording citizens without a warrant in public places. It may be legal, but is it right? Do you feel comfortable with government planting recording devices, capturing conversations that might be sensitive? Again, I have no problems with such surveillance when it goes through the proper legal process. Want to tap my phone? Get a warrant. Want to search my home? Get a warrant. Want to plant recording devices in a public bus stop? Get a warrant. As we’ve seen in times past, especially when the ability to wiretap was discovered during Prohibition, government will always act beyond the rule of law and the confines of the Constitution until they’re told otherwise.